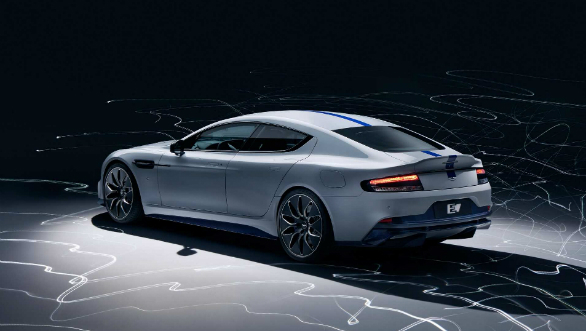 The 2019 Shanghai Motor Show begins today and starting of the barrage of electric vehicle debuts is this, the Aston Martin Rapide E. This is the British supercar maker's first all-electric car. The car has been developed with Williams Advanced Engineering (WAE) and has a 155-unit limited run. Styling changes are subtle and have been made to improve aerodynamics and cooling. There is a larger honeycomb grille up front and larger air intakes on the slightly redesigned front bumper. The Rapide's underbody has also been changed to improve airflow. There's also a larger rear diffuser, more aerodynamic wheels and bespoke low resistance tyres. All these changes have helped aerodynamic efficiency improve by eight per cent. The interiors remain largely untouched. 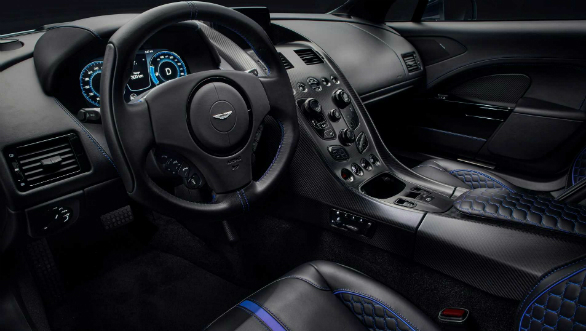 There's more carbon fibre and a new digital instrument cluster. The Rapide E is powered by an 800V electrical architecture battery. The entire system is encased in carbon fibre and kevlar and takes up the place left behind by the original car's 6.0-litre V12, gearbox and fuel tank. A 65kwh battery pack powers two rear mounted electric motors which put out a combined 612PS and 950Nm. The Rapide E has a 322km range as per the WLTP cycle and comes with fast-charging capabilities. The Aston's 800V system allowing for more efficient charging and greatly improved thermal characteristics over existing electrical architectures. This new architecture also means that the Rapide E can consistently post sub four second 0 to 96 kmph times and take 1.5s to get from 80kmph to 113kmph. The Rapide E gets three drive modes, GT, Sport and Sport+, a limited slip differential, revised spring and damper settings. 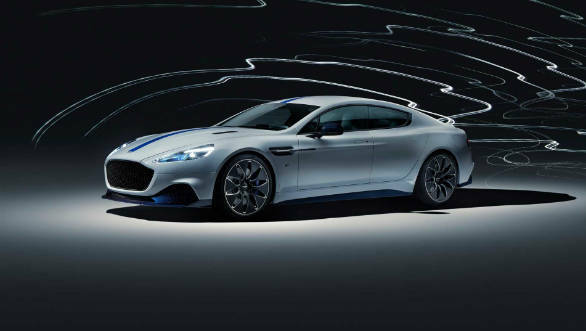 Aston goes on to claim that the Rapide E will do a full lap of the Nurburgring without any performance loss from the battery. The Rapide E looks like a fitting swansong for one of the nicest looking four-door cars ever made. It seems to keep all the best bits of the Rapide intact and replace an ageing powertrain with a more responsive, high tech one. The Rapide E is made to order and prices are available on request.